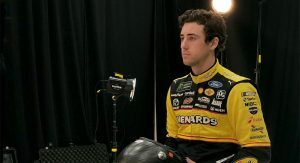 What’s new: Team Penske is a three-car team this season, although its makeup doesn’t change that much since newcomer Ryan Blaney’s 2017 campaign with Wood Brothers Racing included an alliance with Team Penske. Paul Menard’s presence in the Woods’ No. 21 Ford is the newest thing about the larger group of drivers in 2018, as Menard comes over from Richard Childress Racing. What to watch: After the driver-crew chief pair of Blaney and Jeremy Bullins led to the 24-year-old star’s first pole (and second), first victory and first season with double-digit top-10 finishes in the Monster Energy NASCAR Cup Series, expect Blaney to keep building on his breakout 2017. Count on Joey Logano being focused and hungry to get back into the Playoffs after statistically his worst season since 2012. And watch Keselowski’s ongoing rivalry with Kyle Busch, which seems to fuel both of them to push harder for wins. Key question(s): The Camry got an update in 2017; Chevrolet is bringing out the Camaro ZL1 in 2018. How will the Fords keep up with the other manufacturers? The Clash at Daytona was a pretty powerful start with the Nos. 2, 12 and 22 running 1-2-3 for much of the race. Ryan Blaney, No. 12 Menards Ford: Blaney had the textbook breakout season in 2017. Along with his first victory, he gained in top fives, top 10s, laps led, average starting position and average finish from his first full Monster Energy NASCAR Cup Series season in 2016. One of those top fives was a runner-up finish in the Daytona 500. Blaney is very comfortable heading into 2018 with his crew chief following him back to Team Penske and much of the team behind team remaining the same, as well. Expect him to improve on the number of races he finishes on the lead lap (21 in 2017), and therefore his average finishing position, as he builds on his first win and career-best 14 top-10 finishes. Brad Keselowski, No. 2 Discount Tire Ford: A new primary sponsor is a big change for fans of the No. 2 team, though Miller Lite will return, as well. 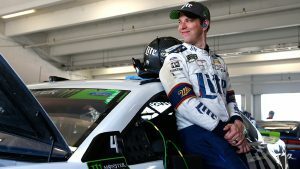 But most of what got Keselowski, crew chief Paul Wolfe and their crew to the Championship 4 remains intact for 2018. Wolfe enters his eighth season as crew chief for the team as Keselowski starts his ninth full season driving for Team Penske. Keselowski is one of the best superspeedway racers, giving him a good chance to start 2018 in a big way – his first Daytona 500 win. He has one win at Daytona’s summer race in 2016, and five victories at Talladega. A victory in the non-points Clash at Daytona bodes well for his superspeedway program in 2018, as well. But Keselowski’s no aero specialist. 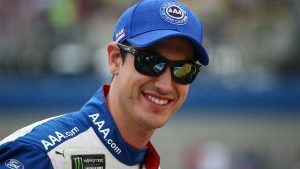 He is a threat at any kind of track, with intermediate and 1.5-mile tracks, as well as Pocono’s “Tricky Triangle” among the places he’s piled up 24 career wins and the championship in 2012. Even if Ford does struggle to keep up with the newer Camry and Chevrolet bodies at times, don’t expect Keselowski to fall off. Joey Logano, No. 22 Shell Penzoil Ford: After missing the playoffs for the first time in his Team Penske career, Logano looks to find his footing again. An encumbered race win and other factors led to his worst season since 2012.